Transcutaneous Electrical Nerve Stimulation (TENS) is the use of electric current produced by a device to excite the nerves for therapeutic constancies. We will connect the TENS unit to the skin using two or more electrodes. We usually use TENS for nerve related to acute and chronic pain conditions. 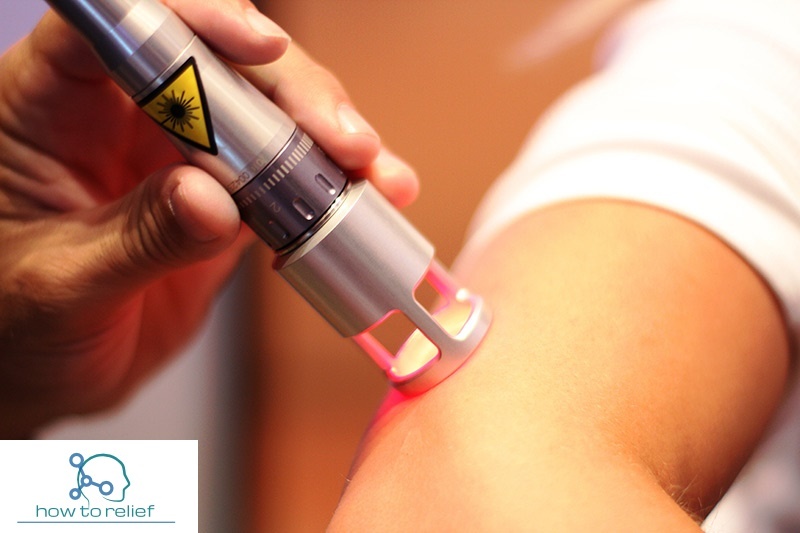 TENS machines serve by sending stimulating pulses across the surface of the skin and along the nerve strands. The exciting pulses help prevent pain signals from reaching the brain. TENS devices also further stimulate your body to engender higher levels of its own natural painkillers, known as Endorphins. While the use of TENS has established effective clinical studies, there is controversy over which circumstances it should apply the device to treat. 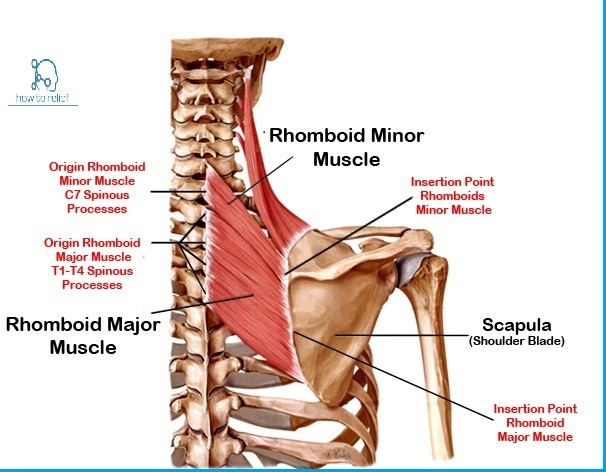 It is a technique of intermodulation that affects the sensory pathway by changing the impulse, which leads to relief of pain. You apparently have seen a physician and a painkiller temporarily relieved your pains but if you are looking for something permanent, you can carry in your bag and use whenever you want, TENS Unit Device is just something for you. It is easy to apply, easy to handle, and it doesn’t cost a fortune to you. 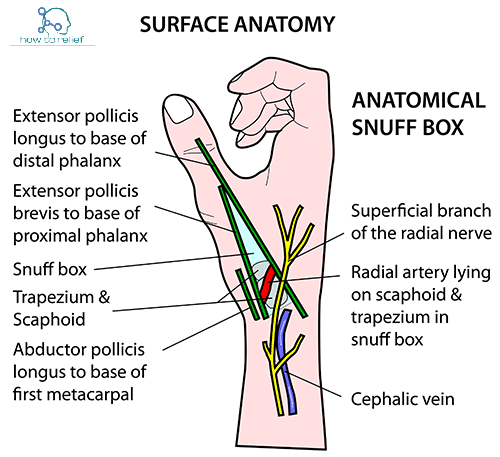 Another study that was observed under Magnetic Resonance Imaging showed that when TENS Unit was used in high frequency, it is very effective to decrease the pain of people who suffer from Carpal Tunnel Syndrome. Also, if you use TENS Unit in low frequency, it will diminish Shoulder pain, and also give a sense of relief to the human brain. The United States Food and Drug Administration (FDA) approved a new version of the TENS Unit that limits migraine pain. This is another key benefit of the TENS Unit. Head-mounted TENS Units may reduce a headache and especially migraine. The main working principle of the TENS Unit is to block the pain signal within the pain area and brain. This device frequently confuses people with EMS devices that look alike. EMS stands for electrical muscle stimulation and its main aim is to stimulate muscles. There isn’t enough good-quality scientific evidence to say for sure whether TENS is a reliable method of pain relief. More research and clinical trials for TENS are ongoing. Healthcare professionals have reported that it works depends on the individual and the condition being treated. TENS isn’t a cure for pain, and often only TENS machines provide short-term relief of pain. TENS or transcutaneous electrical nerve stimulation is safe. 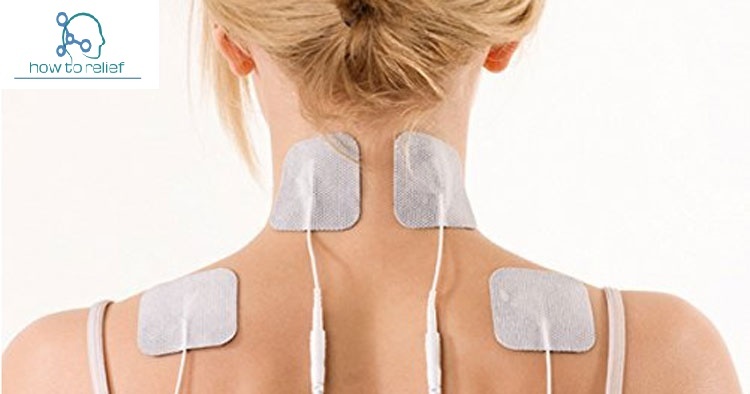 Tens or transcutaneous electrical nerve stimulation is an alternative way to relieve pain. Tens machine a battery operates which. The TENS Unit is useful and helpful for relief in pain. TENS Unit delivers small electrical pulses of little electrical like sensation shocks it transmits which to the body which helps in curing certain types of pain. The TENS unit has a high frequency to low frequency with low intensity to high intensity. In the normal mode method, where the frequency is within 90 Hz to 130 Hz. 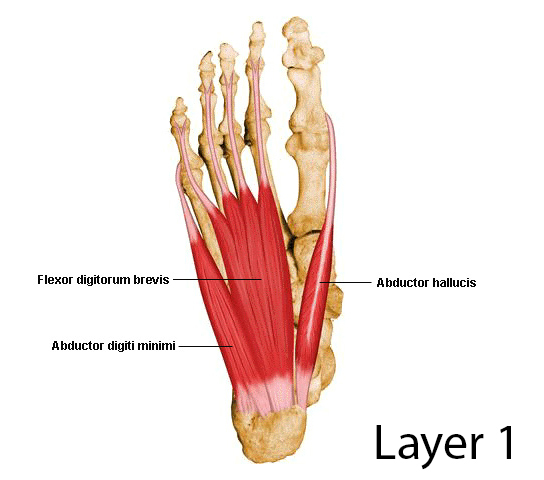 The mechanism is that there is the same path within the brain and nerve system. If the path has no blockage, the signals of pain reach the brain and we get the sensation to feel the pain but on the opposite, when the gate is closed, the pain messages are being blocked and we get no sensation of pain, gets relief from pain. In a low pulse frequency is between 25 HZ, the device stimulates the body to make its own pain relief chemicals perceived as endorphins it may contrast which to morphine to block pain signals. There are several reasons to try a home TENS unit to aid with pain relief. TENS units are easy to use, are non-invasive, and have the smallest side effects. Studies show that to get pain relief, an adequate intensity of stimulation is required. Most TENS unit devices with enhanced stimulator achieve that goal quickly. When you use a TENS machine, follow the manufacturer’s specific instructions. TENS machines are lightweight and small, so you can use them while you’re working. You can place it in your pocket or hold it in your hand. Make sure it switches the TENS machine off before you attach the pads to your skin. Position the pads either side of the painful area, apart from at least 2.5cm (1 inch)for each pad. Turning the TENS unit switch and adjusting the strength when the pads are attached in the correct places. You’ll undergo a slight tingling sensation pass through your skin. You can set a time duration of a new modern TENS unit, as you choose like 15-30 minutes. The TENS unit machine has a dial that allows you to control the strength of the electrical impulses. Start the TENS unit on a low setting and gradually increase it until the sensation feels strong but comfortable. If the tingling sensation feels uncomfortable, reduce it slightly. Switch off the TENS machine after you’ve finished using it and remove the electrodes from your skin. Significant adverse effects from TENS are rare. Occasional records of moderate electrical burns are for an inappropriate technique. Some individuals experience mild autonomic responses and the little skin irritation beneath electrodes. We should not apply the TENS which a patient with a Pacemaker. It should not treat patients who have epilepsy, most especially associated with treatments to the neck and upper thoracic areas. 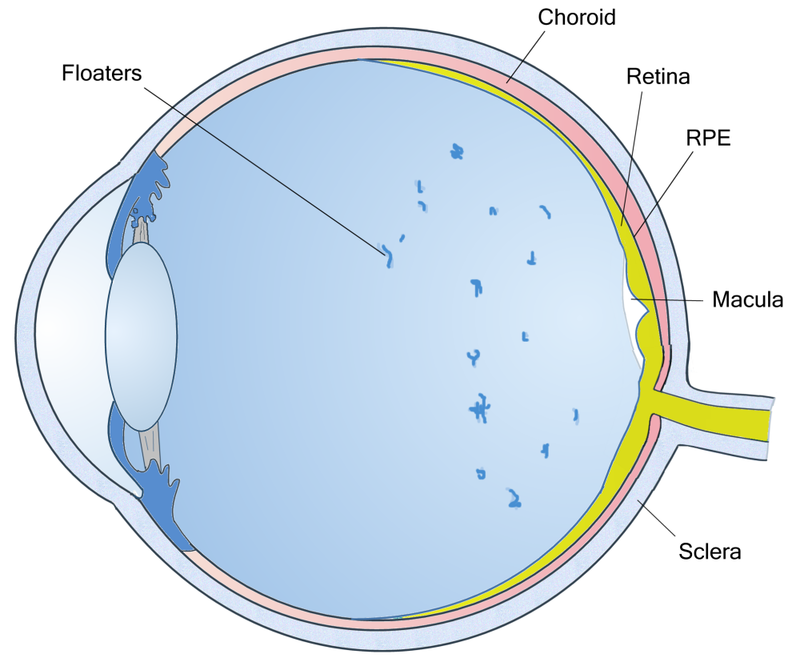 Avoid active epiphyseal regions in children. If you have chronic pain, it’s difficult to manage. Painkillers that can lead to addiction with kidney damage, while physical therapy can be expensive. There are options, though, having massage machines, creams and so on, but one of the finest ones around you is electrotherapy. You can use the TENS unit at home and have proven to be more effective. Following are the reputed brand you will pick up from Amazon.com. The TENS 7000 TENS unit gives prescription-strength pain relief. The dual intensity muscle stimulator, a nerve stimulator, and an electric massager become independent dual channels that control four (4) TENS unit pads (electrodes) for targeted pain easing. An over-the-counter favorite back pain easing device for providing instant and lasting drug-free pain muscle pain relief from neck pain, back pain, tennis elbow, to bursitis. TENS unit machine comes with multiple therapy modes combine: Normal, Modulation Pulse Massager, Burst, Strength Duration 1, and Strength Duration 2. 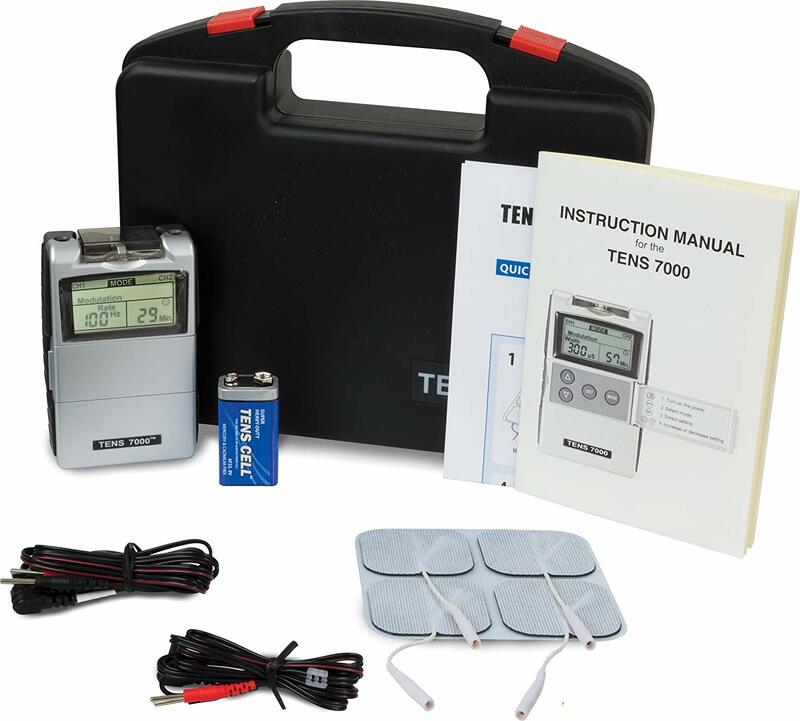 A TENS 7000 electrotherapy machine with everything needed for TENS therapy. The operating situation should be with temperature 0 to 40-degree Celsius, humidity with 30 to 75 percent and atmospheric pressure with 700 hPa to 1060 hPa. The TENS unit muscle stimulator and the electric massager becomes complete with the TENS 7000 device, two pairs of lead wires, one (1) four (4) pack of reusable added electrodes, one (1) 9-volt battery, a quick start guide, instruction manual, and a strong carry case.